Use a big bowl and add all the nuts and seeds. 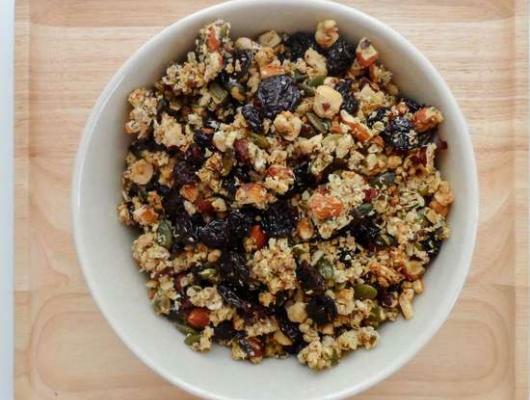 Use a small bowl and mix the wet ingredients for the topping and combine it with the nuts and seeds. 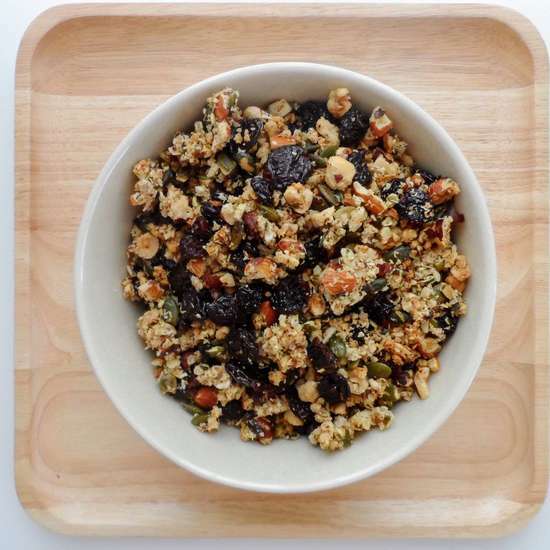 Mix all the granola ingredients except for the dried cherries and spread on the baking tin. Roast the granola for 10 minutes and add the cherries afterwards. The granola can be eaten as snack or served as breakfast with your choice of vegan milk.